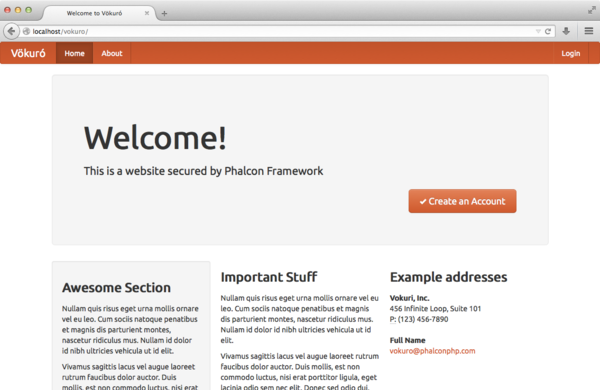 Vökuró is another sample application you can use to learn more about Phalcon. Vökuró is a small website that shows how to implement a security features and management of users and permissions. You can clone its code from GitHub. The application is divided into two parts, a frontend, where visitors can sign up the service and a backend where administrative users can manage registered users. Both frontend and backend are combined in a single module.